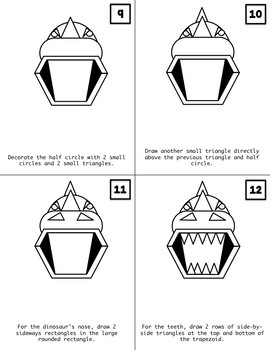 This is the perfect activity to keep kids busy!!! This is ideal for early finishers or brain breaks. Students will love to draw a character from the very popular game FORTNITE! Easily print, laminate (optional) and hole punch the step-by-step cards to make a cute little booklet that can be reused by anybody at any time. Use a metal ring to keep the cards together. 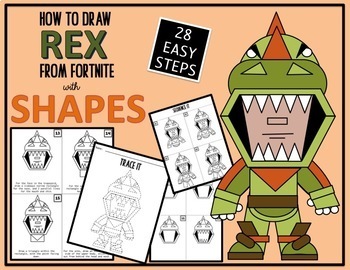 Students can follow 28 easy steps to learn how to draw REX from FORTNITE. 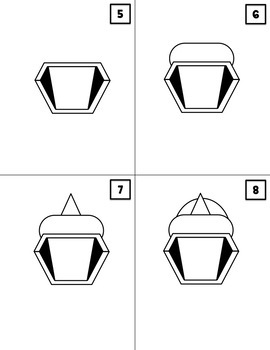 This complete packet will allow students to draw the object by following 28 easy steps, learn about order and sequencing, and draw by themselves and/or as a guided activity with the teacher and whole class. Teachers can print and laminate the sequencing cards and students can reuse them, or students can cut out the cards and use them as playing cards to find the correct order. If you like my products, PLEASE FOLLOW ME by clicking on the words that say "Follow Me" at the top op my store page! I offer a 20% discount on new products for 24 hours!!! If you are one of my followers, you will be the first to know when I launch new products and you will be able to buy my products at 20% OFF! Earn TpT Credits for purchases on TpT. You get one TpT Credit for every $ you spend on TpT. Thing is, you only get the Credits after you Provide Feedback -- both a fair rating and a fair comment -- on the items that you purchase. We will round up for you, too! If you provide fair feedback on a $4.75 item, you will earn 5 credits. Every 100 Credits is worth $5 that you can apply towards future TpT purchases, but there is no need to wait until you have 100 to redeem them. 50 credits is worth $2.50, for example. How to Redeem TpT Credits: You can keep track of how many credits you have accrued here or on the top of the site after login. When you check out, you will be given the option of applying your TpT Credits to your purchase, thereby discounting your purchase price accordingly. If you like my products and would like to request something specific, please email me at crazycreationsontpt@gmail.com and I'll be happy to create something for you.